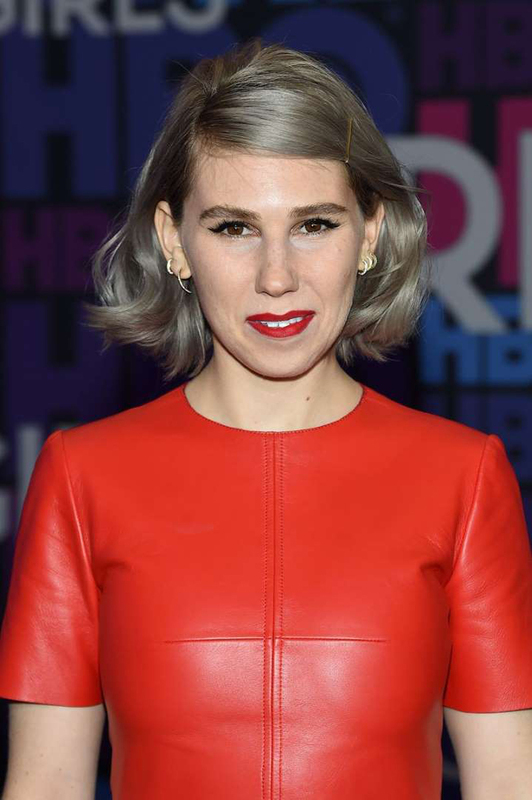 A silver platinum dye job is a bold move. 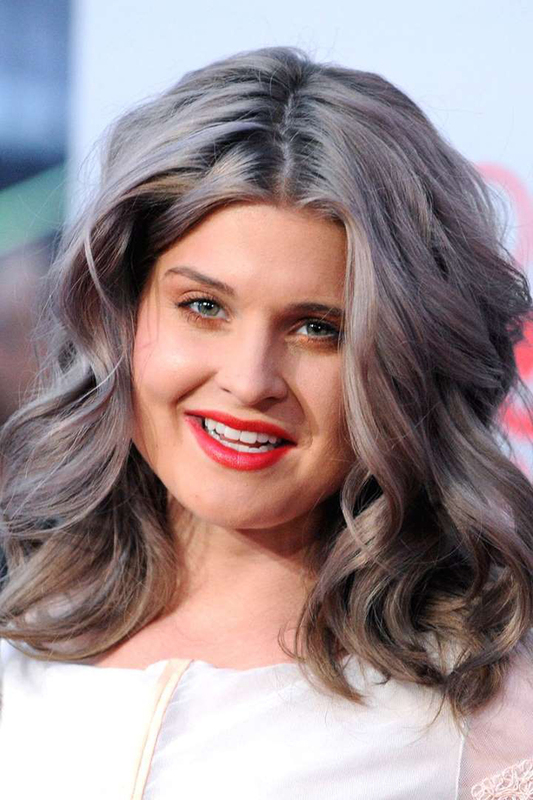 Long gone are the days when going gray was a bad thing. In fact, it's become one of the coolest hair trends to try. Stars like Cara Delevingne have been rocking silver hair for years. But she's far from the first star to tread into gray lady territory. 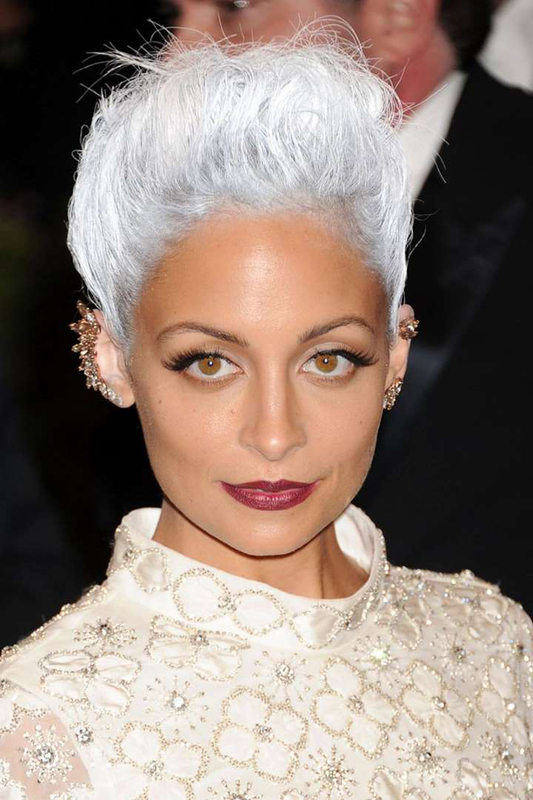 Here find a slew of silver foxes that prove the supermodel's 'do puts her in some seriously badass company. 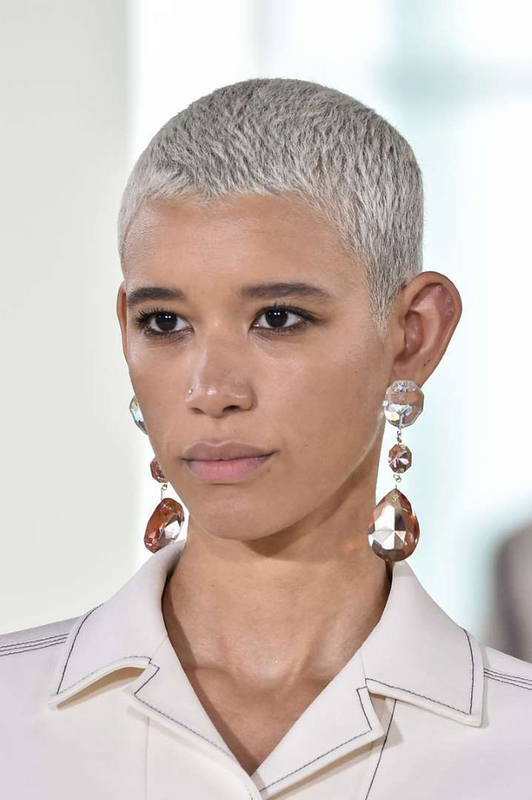 Just in case you were unsure if silver looks striking with short hairstyles, 24-year-old supermodel Dilone ditched her curls for this silver buzzcut, and wow, just wow. 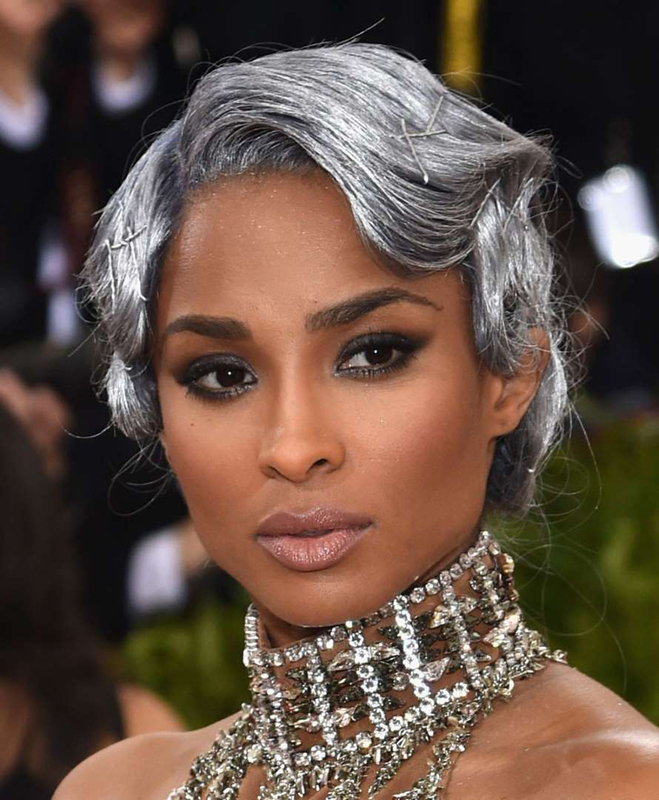 Long live the 2016 Met Gala when Ciara won the red carpet with the metallic finger waves of my dreams. Her silver hair is shining so bright! 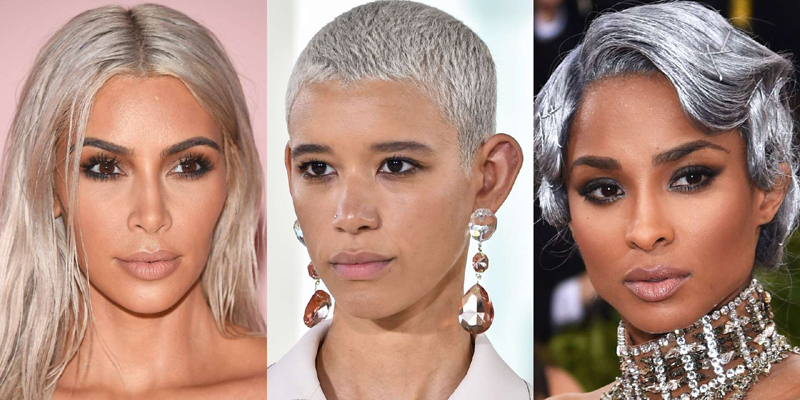 Kim Kardashian illustrates how blurring the line between silver and platinum with your hair color can turn out really freakin' beautiful. Supermodel Winnie Harlow makes slaying in silver hair look way too easy. Here's photographic proof that this color still looks prominent even when it's pulled back. 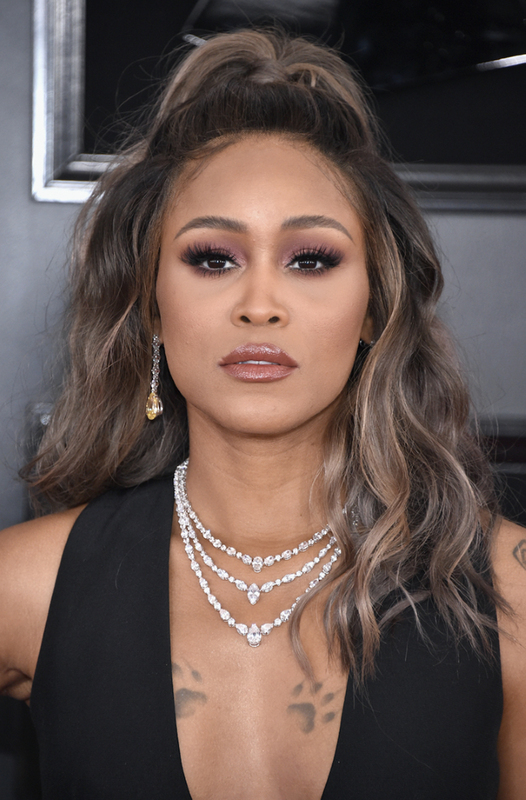 At the 2019 Grammys, rapper Eve showcases how silver hair can be done in a subtle, yet still flawless way. I love how hints of grey are flowing throughout her hair in this half-up, half-down style. 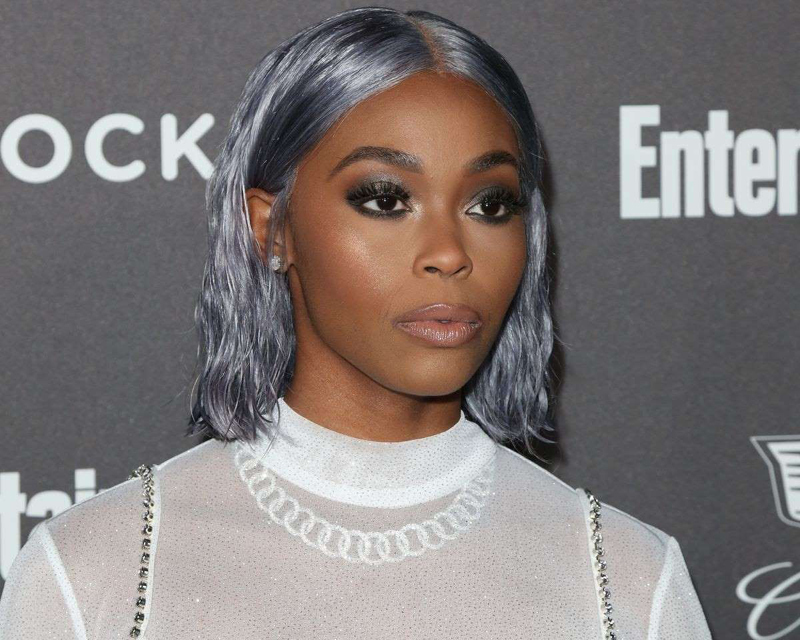 I'm in love with the silver-slash-sky-blue hue of this glossy bob worn by actress Nafessa Williams at the pre-SAG Awards party. 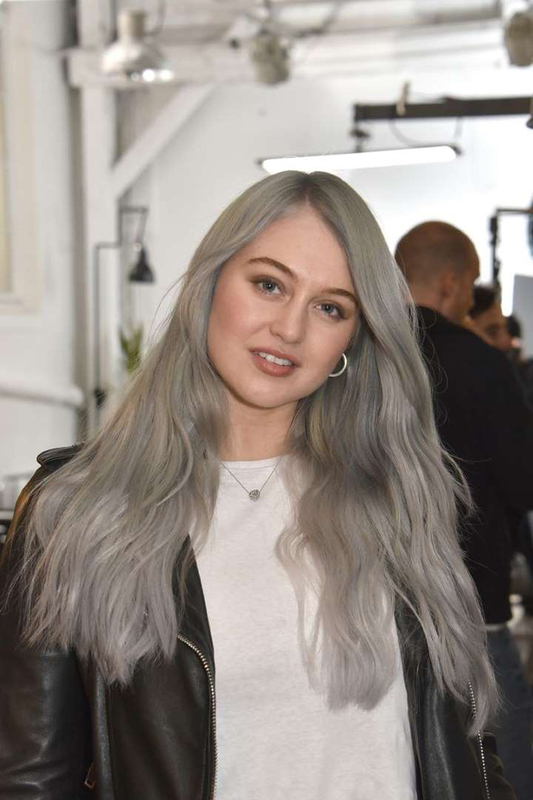 Supermodel Iskra Lawrence recently decided to go gray. Her loosely tousled waves make this shade look so effortlessly cool. 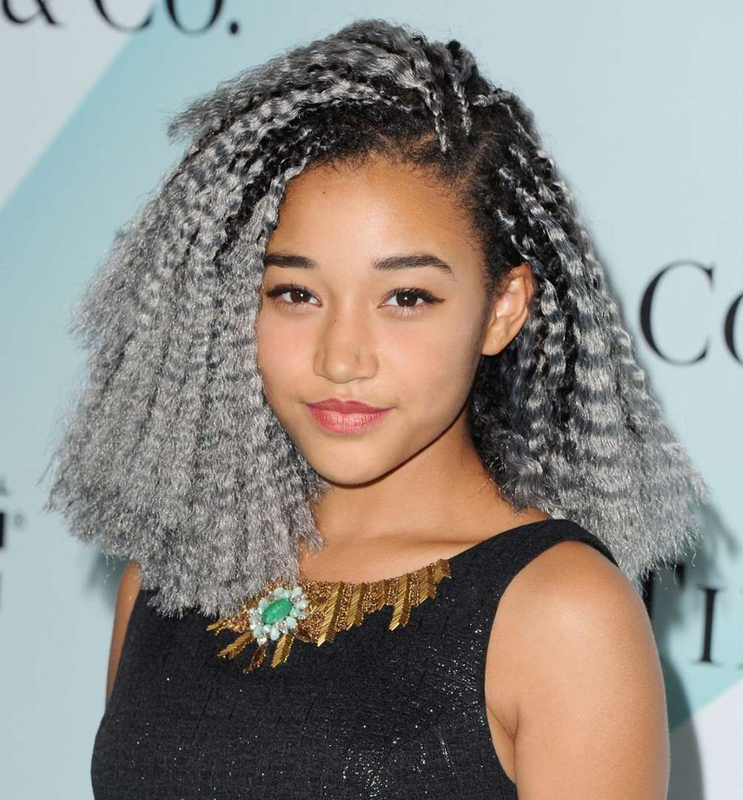 Amandla Stenberg's metallic crimps gorgeously prove that silver hair looks just as good with textured styles. 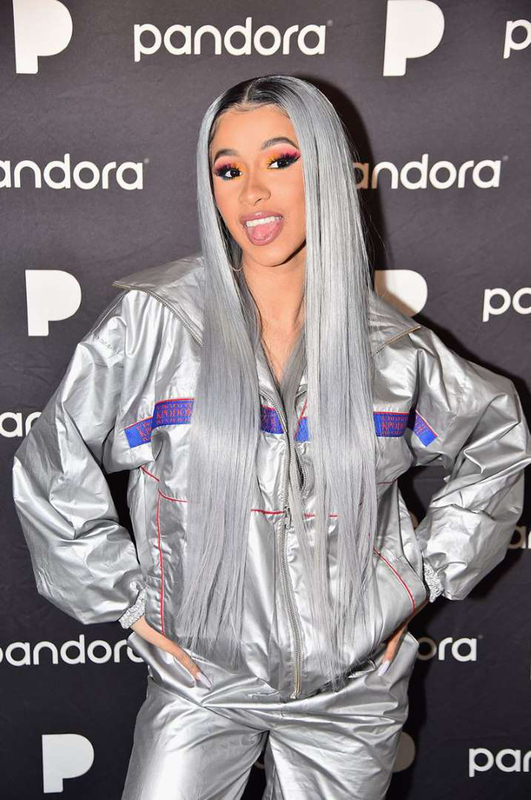 Cardi B has donned every hair color of the rainbow. Remember when She wore extra-long, bone-straight, silver strands for a hot minute? My vote is that she brings this style back. 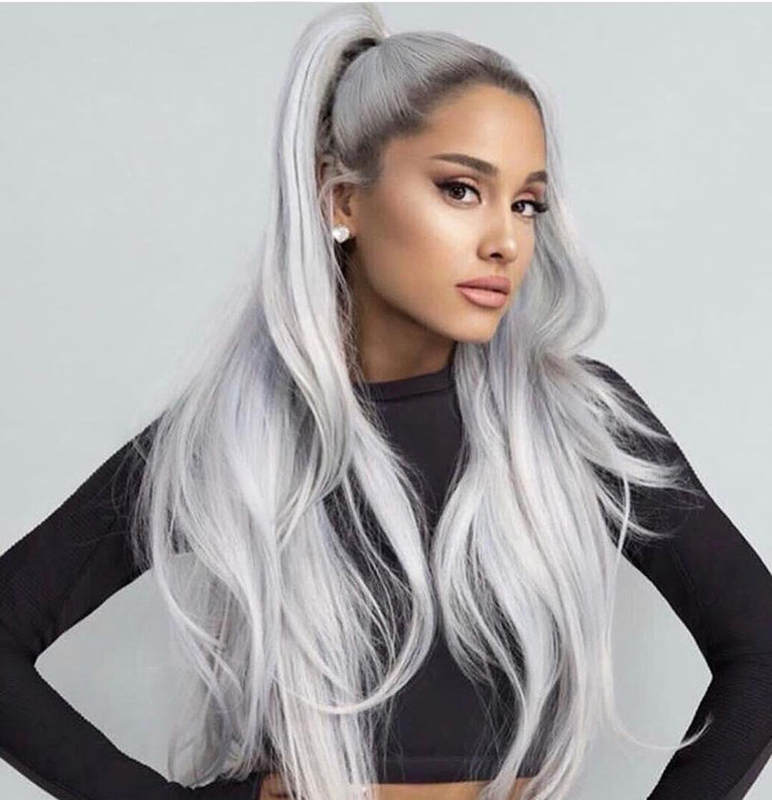 Celebrity stylist Chris Appleton called Ariana Grande an "Ice queen 👑," with this hairstyle, and I honestly couldn't have said it better. During PFW, Delevingne played up her new silver platinum dye job with a frosty highlight. Kelis styled her moonstone-hued waves into a cool, mullet-inspired style. Leave it to Pink to infuse color-hints of violet and blue-into her bright silver dye job. 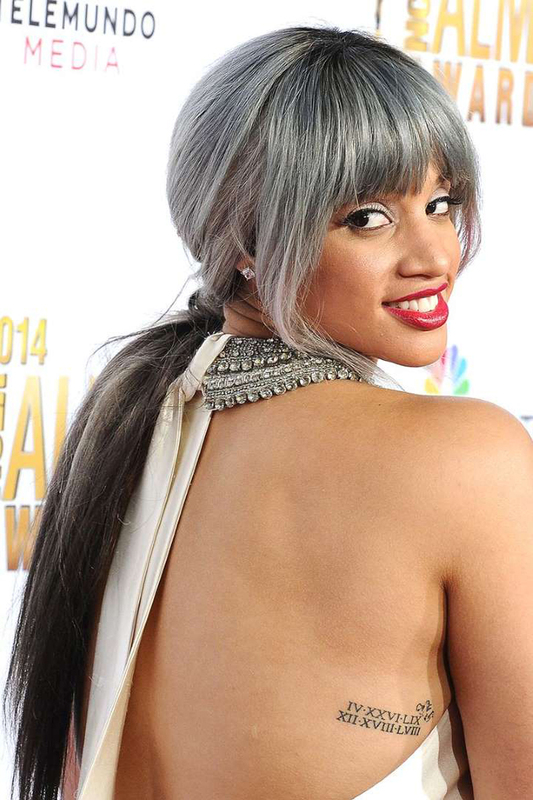 RiRi deemed her dye job "ice grey ish." And that's all you need to know. Goulding's silvery strands were warmed up with flecks of yellow on the mids and ends. Always one for a statement dye job, Osbourne's charcoal tresses were enhanced with a rich wash of lavender. Once upon a time, Richie's hair had practically no pigment in it all. It was white with silver-blue undertones. Polanco's dark gray-to-violet ombré popped against her warm, glowing complexion. Mamet's colorist calls this shade of silver "antique gray." At the 2015 Grammys, Gaga matched her hair to her plunging metallic gown. Dunn went ahead and matched her hair color to her icy gray Adidas Supercolor originals. 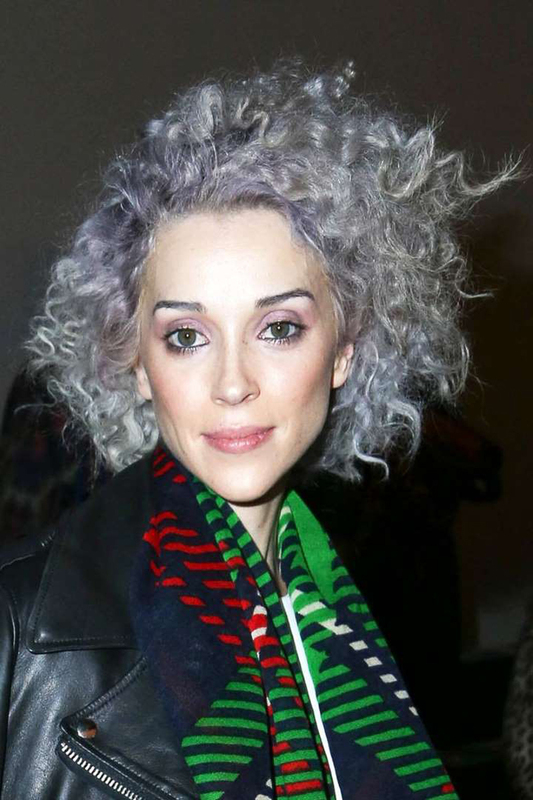 Looking groovy as ever, the subversive singer injected shades of deep purple and sky blue into her faded curls. 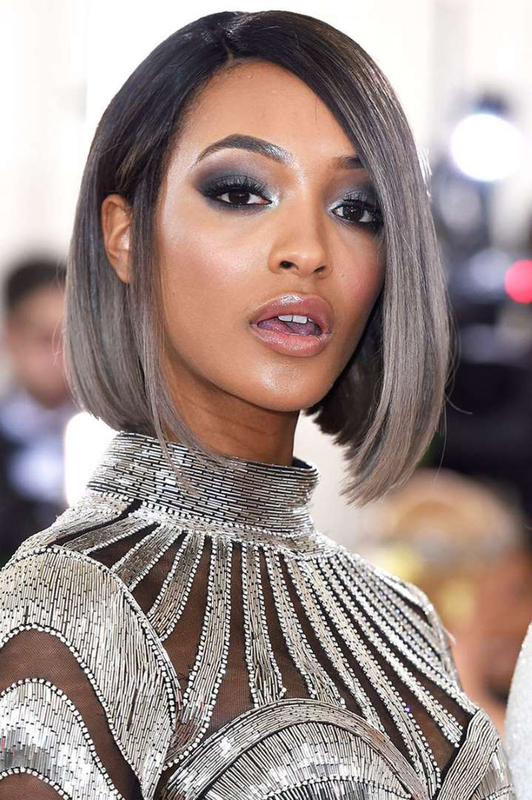 For the Manus-x-Machina-themed Met Gala, the supermodel added a violet-tinged silver ombré to her sleek bob. JLaw's cooler-than-cool shade walked the line between silver and classic platinum blonde. Jenner punched up her extra-long black strands with dipped-dyed, blue-silver color.